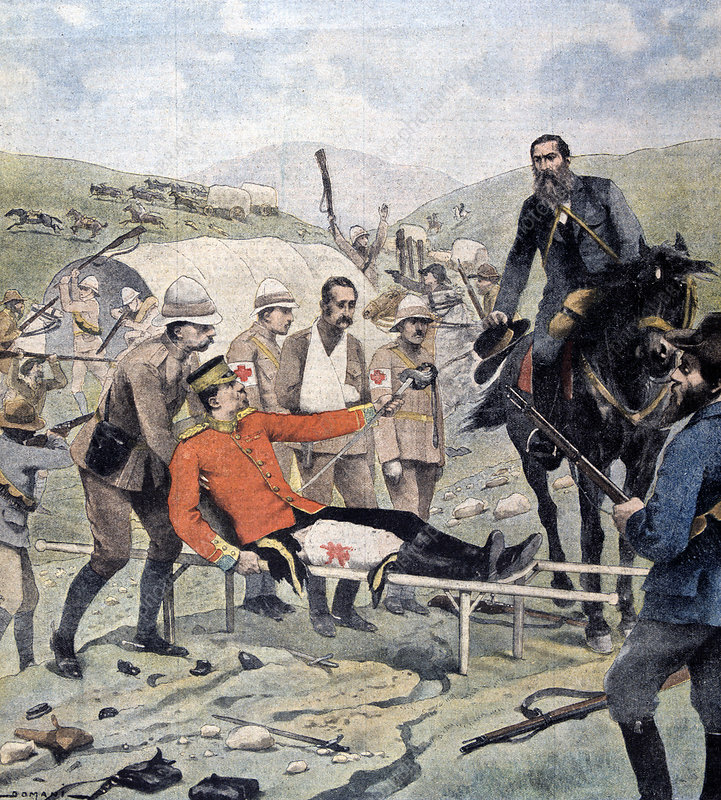 General Methuen surrendering to de la Rey, 2nd Boer War, 7 March 1902. Paul Sandford Methuen (1845-1932) British Lieutenant-General, was wounded in an unsuccessful attack on the Boers and captured at Tweesbosch. He is shown surrendering his sword to General de la Rey before being released into British care. From Le Petit Journal. March 1902).